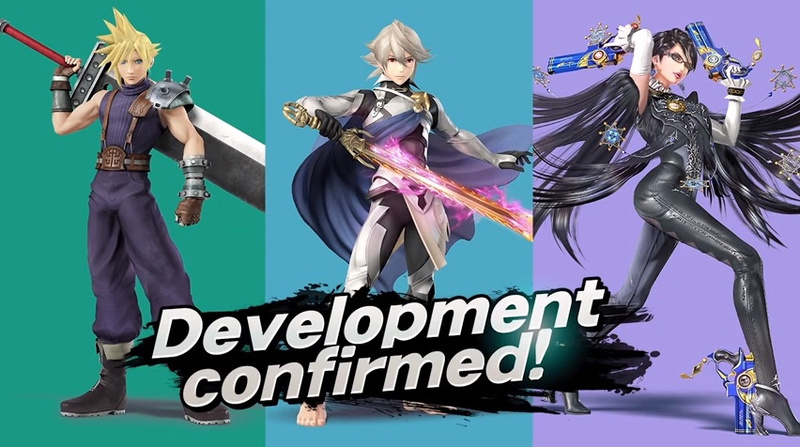 In the final Super Smash Bros. for Wii U & 3DS video presentation, series creator Masahiro Sakurai has revealed more amiibo will be arriving in store soon and also confirmed amiibo development for the three newly announced fighters. 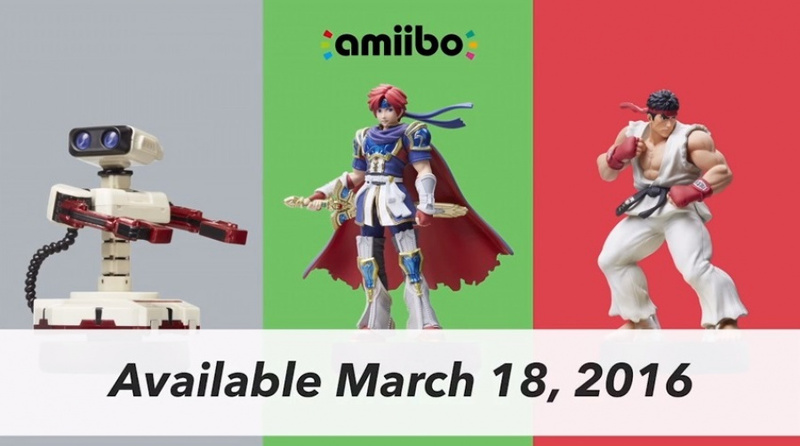 Ryu from Street Fighter, Roy from the Fire Emblem series, and a special Famicom Color version of R.O.B. will be made available in store on 18th March. In addition to this news, Sakurai has confirmed the newly announced fighters including Cloud from Final Fantasy, Corrin from Fire Emblem Fates and Bayonetta the Umbra Witch will also receive the customary amiibo treatment. There is currently no word on when this final batch of amiibo will arrive, so keep an eye out for a release date in the near future. Let us know in the comments if you are interested in any of these upcoming amiibo releases, and if you plan to collect the entire Super Smash Bros. amiibo set. I'm interested how they're gonna pull off that Bayonetta one! With her hair everywhere! I made room for my precious Ryu, Cloud and Bayonetta amiibo! Can't believe i'm typing these 3 names in relation to amiibo...(small) dream come true! I never expected Famicom R.O.B. to be sold in Europe and I already imported it. Cloud is happening. Oh yes. Believe that. I can't believe people shell out hundreds of dollars for these pieces of plastic. The game effects are negligible and they're usually in the most ridiculous poses. 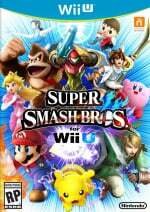 For all the complaining about Bayonetta, Corrin and Cloud being in the worst Smash ever made, people sure are happy about a bunch of overpriced inaction figures. Here's hoping they will serve some uses in future and maybe some current ones, especially the third and second(?) party ones. I know Roy isn't going to be unlocked in Codename STEAM. Unless the universe want to prove my work and release an update for the game (I dare you universe). Definitely going to be getting all of these newly announced amiibos. And I don't see them as overpriced pieces of plastic. Here is hoping they don't cover Bayonetta in plastic support beams. Famicom-colored R.O.B. coming to europe BRAH! Yeah!! I'm kinda annoyed that some of Fates MC stuff is effectively ruined though (doesn't matter hugely as it's probably barely touching on plot much - partial dragon transformations... but, you know). Either way, my amiibo collection is waaaaay too big and I need to curb it... This makes things difficult haha. Hope Ryu and Cloud are well stocked! "We will be making amiibo for all playable characters in Super Smash Bros. for Wii U and Nintendo 3DS." Me: Sweet, I'm gonna get all of the third party amiibo, at least! Me: Alright, I have all the third party amiibo! I have a Ness now, too! Me: Huh... Guess I'll just have to get this one too!! Me: ...Lucas still isn't out yet, I think I'll worry about him and Ryu first before Bayonetta and Cloud. Can't wait for the Ryu n Bayonetta Amiibos. I'll get the Bayonetta one. @SahashraLA $13 is overpriced? what? Yes! I've been waiting for the Ryu Amiibo since he got added to Smash - now I just got to make sure that I get one. OMG YES RYU! LOVE OF MY LIFE!